I have to back track a bit. A few months ago, I posted a blog entry titled “Connect the Dots.” As a young girl, I realized early on that I was not skilled at drawing. I could color in the lines perfectly but when it came to creating my own perfect picture, it was a mess. I remember the joy I would get from the books that were designed for a struggling young artist like myself. It started out with a bunch of dots all over the page and no semblance of a picture but as I began to connect the dots it all started to take shape. Though it was super simple there was still an order to the thing. I could have connected the dots any way that I wanted to but the picture wouldn’t have come out right. I had to first either know how to count or how to say the alphabet in order to connect the dots properly. It required attention and a lot of concentration but not on the big picture rather on my knowledge of counting and reciting the alphabet. I did my part and the rest was already aligned to take shape! Sometimes the closest dot wasn’t the dot that I needed to connect to first. It defied what would seem logical in my eyes. If it had not been for the order lined out before me, I would have screwed it up. However, my picture had no other choice but to come out perfect as long as I focused on what I knew. If I tried to figure out the picture without factoring in the order, it would have taken me a lot longer to figure it out and I’m almost guaranteeing you it would have been distorted. This weekend I bore witness to a number of experiences that make up significant dots on my journey called life. On Saturday I attended an awesome service led by Nelson Bowen, founder of the iNgage Movement. The topic was on a study that challenges the idea that there’s safety in numbers and it’s called “The Bystander Effect” which occurs when the presence of others hinders an individual from intervening in an emergency situation. The video that was presented showed people’s response or lack there of when witnessing a person in distress on a public street. It’s the idea of not wanting to get caught up in someone else’s issues especially when other people aren’t willing to do so. That was the first “dot” but we’ll get back to that. When I left the iNgage service I knew exactly what I was going to share today. 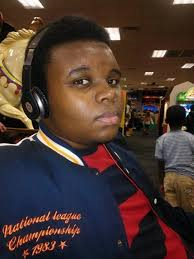 Then Sunday hit and I woke up to a news feed full of #MikeBrown (dot 2). Then Monday hit and I woke up to a news feed full of #GenocideInGaza (dot 3). Before I went to sleep last night I had a timeline full of #RIPRobinWilliams (dot 4). By this point all I could do was ask for God’s peace to rest my mind and then drift off to sleep. Sitting here reflecting on it all, each of the dots connected to create the big picture. “The Bystander Effect” came into full view. I don’t have the answers but I know who is The Answer. My faith is never waivered in God but it’s tested in times like these because I’m wondering when will we get it. We must seek God at all times not just in times of crisis. Too many people just want a platform to been seen and heard in times of trouble. They want to be put on a pedestal and noticed for being an intellectual and well versed of societal issues but at the end of all the summits, forums, and rallies we’re stuck with nothing but a bunch of words! Good and evil have been at war since the beginning of time but if praise is our weapon why are we using it as a reaction? No matter what we face, God is bigger. He has the power to soften hearts, to wipe out enemies, to destroy the devourer but we must do our part! There is an ORDER. We must care about humanity and people outside of our family bubble. As long as we claim Christianity, “their” issues are our issues because we’re ALL God’s issue. We’ve been bystanders too long, focusing too much on how tithing brings us blessings and not enough on what to do with those blessings once they’re received. Our lives are so much bigger than just us but just like “The Bystander Effect” we see people just talking so we talk. We see people ignoring so we ignore. We see people acting out in emotion so we do the same. When will we pray for direction on what to do, how to do it, what to say, and when to say it? If anything we can learn from history is to never confuse movement with progress. As we continue to connect the dots, we must remember God’s order. Seek Him first and then all other things will be added onto you. That includes understanding, revelation knowledge, peace, protection, insight, prosperity, etc. It’s time to get back to the heart of the matter and seek God in what we do. Pray for our leaders, world relations, and those suffering in silence daily. The revelations that come out of our prayer time can reveal to us the unknown dangers that lurk, the people who are silently hurting, and give insight on how to defeat our enemies but we’re so out of order! We don’t think of Him until after the damage is done and that is why we’re losing. Our picture is distorted because we’re connecting the dots wrong. My heart aches for the tragedies that have occurred over the past few days. No, Iraq is not the only country in turmoil. 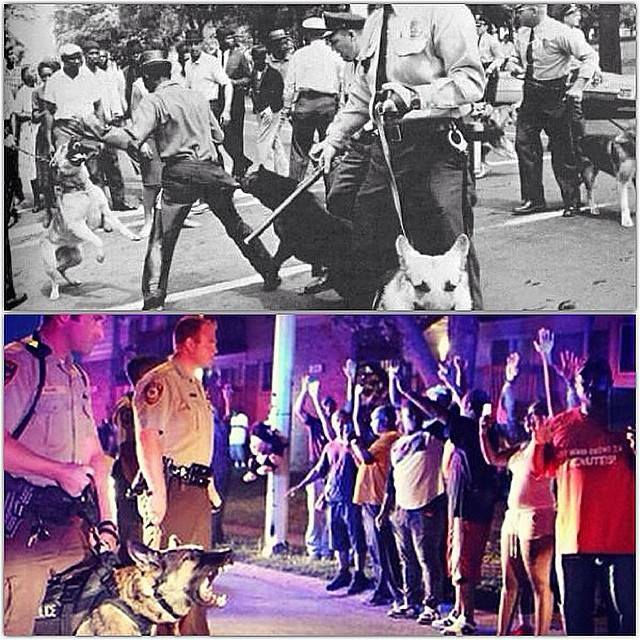 Mike Brown is the face for police brutality at the moment but certainly not the first. 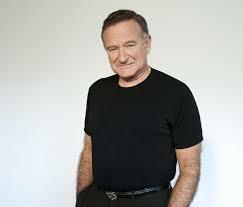 Robin Williams is not the only celebrity who suffered in silence and resorted to suicide. We can’t continue to get angry for a few weeks, attend a rally or two, and return to our daily lives. Christianity is a lifestyle and the more people who see our consistent prayers turn into action AND results, maybe just maybe they’ll be more people mimicking us instead of mocking us. “Black Jesus” anyone?? Never mind, I’m not getting into that THAT today. This blog is perfection. You perfectly tie in ALL the issues we dscussed at dinner last night and ended it w/ a little APPROPRIATE sarcasm. lol. You should’ve ended this one w/ “DROPS MIC”!!!!!!!!!!! Praise God for you & this word today. Hahahaha! Thanks Jocey! It was a tough one to write so I’m glad it came across well and yes, nothing wrong with a little sarcasm every now and then! Thanks for sharing!